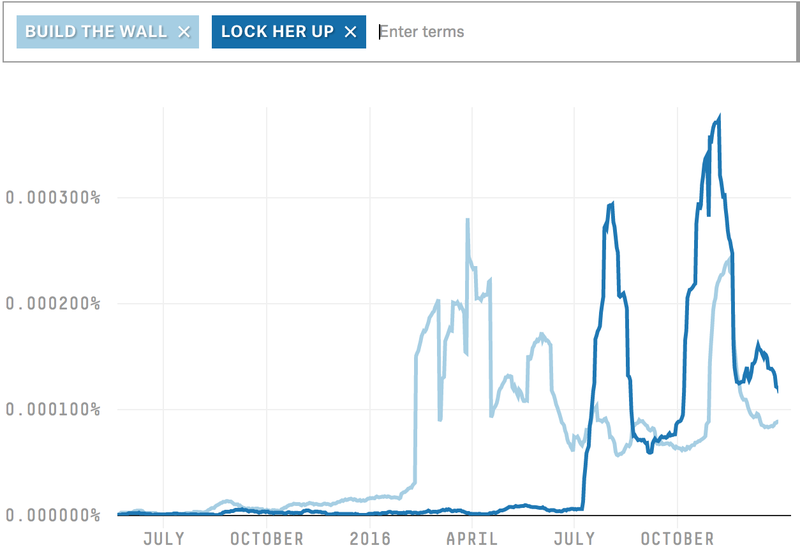 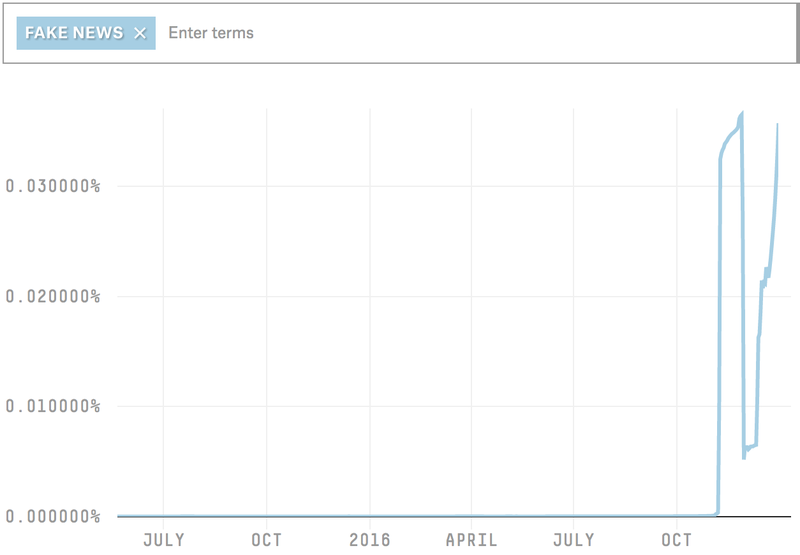 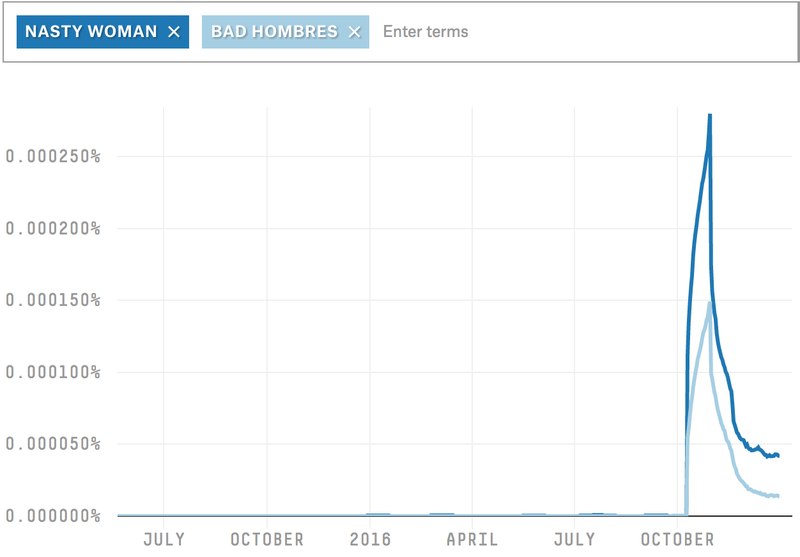 In late 2015, we published a Reddit Ngram tool that tracked how often people used a given word or phrase on the internet message board over the previous eight years. 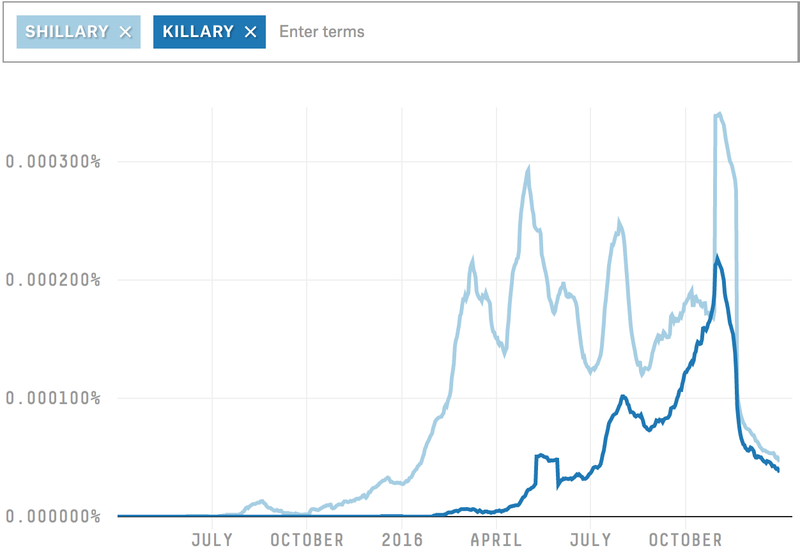 Today, we’ve updated that tool with data through the end of 2016, so now you can use it to look at language trends throughout the campaign and into the post-election period. 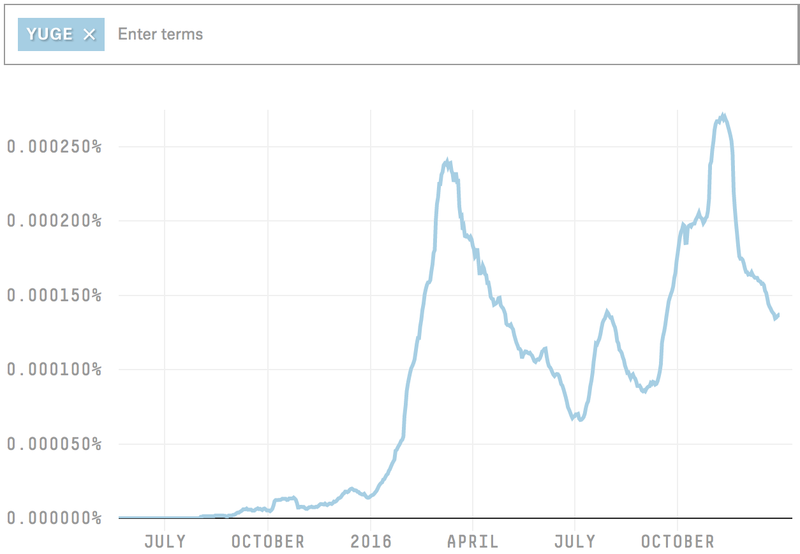 Reddit users are very much not representative of internet users in general, but the site is massive — it’s the seventh-most-visited site in the U.S. — and its users have posted billions of comments since its inception. 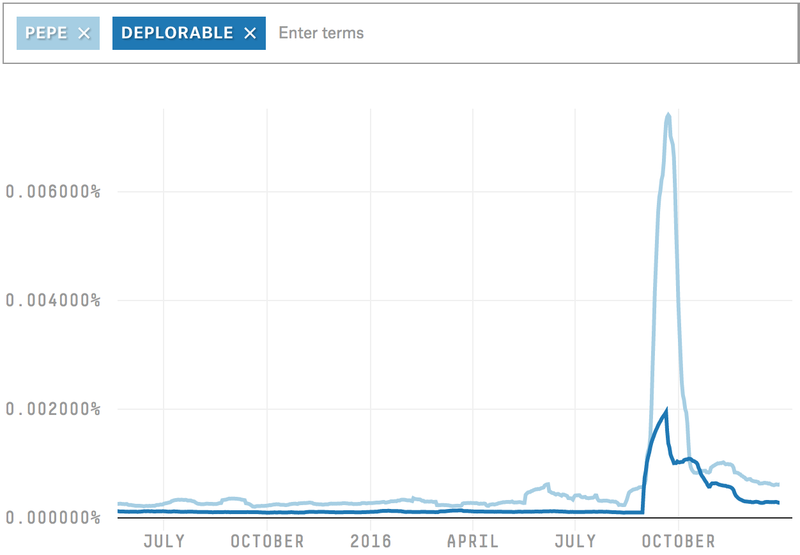 And Reddit, in particular, became an outlet for a large group of Trump’s supporters, making its comments and threads especially interesting in the context of the election. 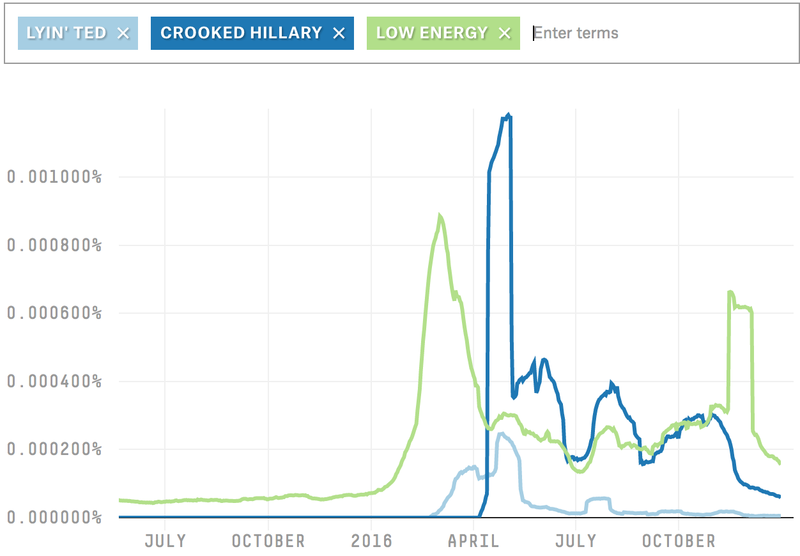 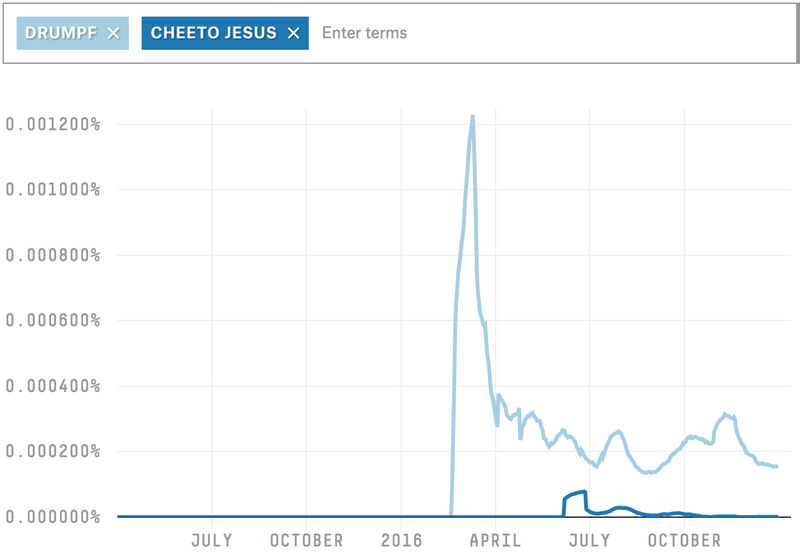 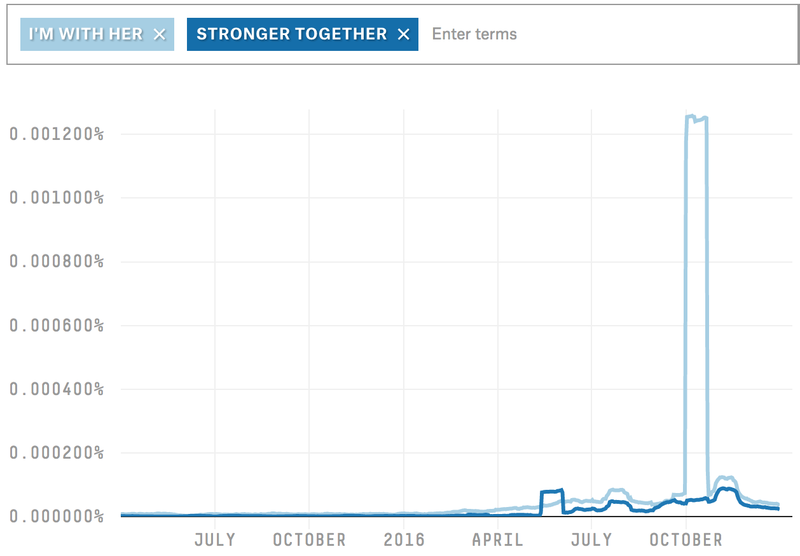 Here, we’ve included some of the more compelling examples of election-related language trends, but we encourage you to check out the tool yourself and tweet @fivethirtyeight if you find something interesting. 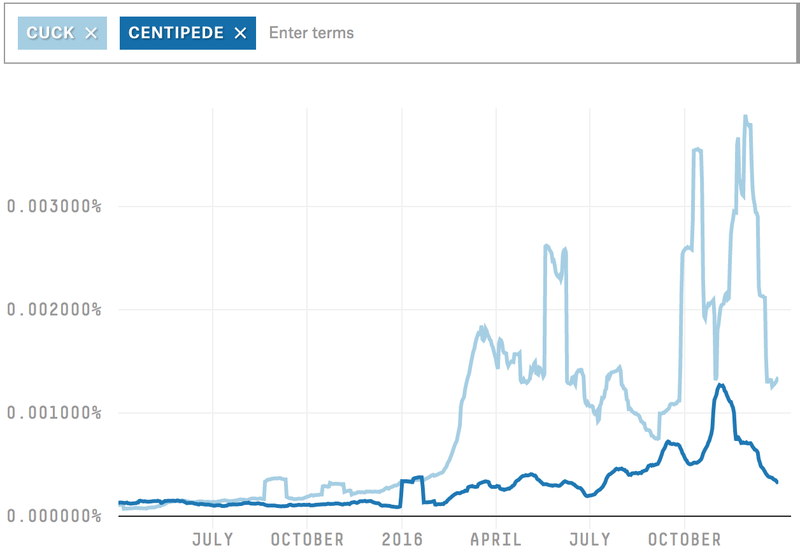 VIDEO: Is ‘fake news’ here to stay?